One thing I learned a long time ago was that we should never take ourselves too seriously. 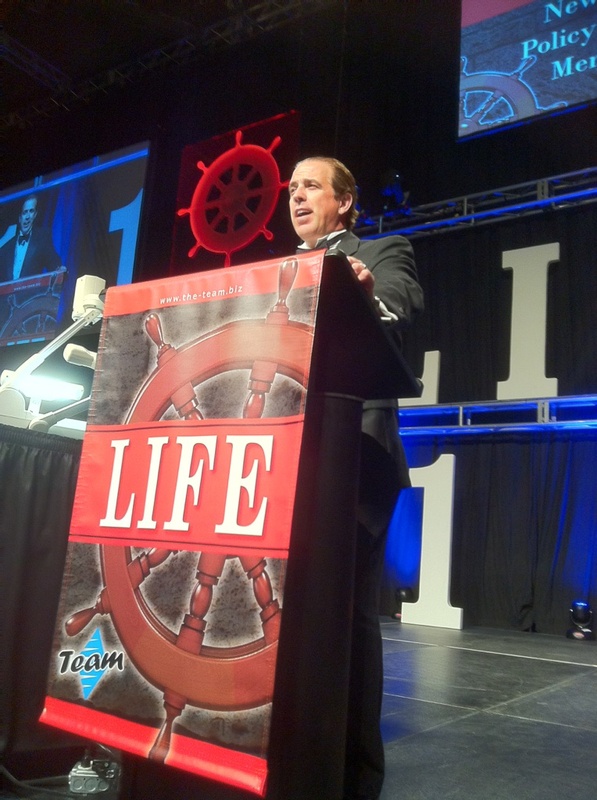 I love the Life Leadership business, and I love building it. I also enjoy working with the many fine people who make up Life Leadership around the world. In a busy season, with lots going on, it’s good to remember to enjoy the journey, too. As usual, when Orrin Woodward and I get together, no matter how busy we are or how many issues are pressing, we always seem to have some good old fashioned fun. At a recent Policy Council meeting in Florida, we took a little time to shoot a fairly spontaneous video. This was (obviously) a one take wonder. It was inspired by some research I had read in a book by Adam Grant discussing the idea of “front running one’s weaknesses.” I won’t play spoiler here, and will instead let the video speak for itself, but these really are legitimate reasons someone should consider before getting involved selling our products. We think what we do is great, but of course, it’s not for everyone! I hope you enjoy it. I think it embodies our slogan of Have Fun, Make Money, and Make a Difference! Thanks for watching. The LIFE Leadership company has just completed its second full calendar year, and again, we are very pleased with our growth and expanding impact. We have again experienced double digit growth (the exact numbers will be reported soon by the office) and reached into new markets. As always, our focus is not merely on helping people succeed, but in helping them matter. It is no secret that my favorite quote is one attributed to the famous preacher and evangelist D.L. Moody, “Our greatest fear should not be that we won’t succeed, but that we will succeed at something that doesn’t matter.” Every time I read that sentence I am refocused and recommitted to making sure that everything we do helps people transcend success and focus much more importantly upon significance. In one way, this could really just be a bunch of words. But for those of us who labor behind the scenes, this desire to matter, to truly make a difference, is a driving factor in our work. Someone once asked me when I was going to stop working so hard. I am always surprised at this type of inquiry, as what I do doesn’t seem like work. In fact, when you love what you do, and when you see every day that what you do really matters in the lives of people, you can’t help but work! In fact, your work becomes the most fun fun there is! For me, the point isn’t to get more time off, but to get more of my time to be on, on the mark, that is. Meaning, I want more and more of my time to count, and in the most meaningful ways. When I take time off, it’s only so my time on is even better! (That was the point I was attempting to make in my book, A Month of Italy). Overall, the way we apply all this high-sounding talk at LIFE Leadership is to dream big, and then focus small. What that means to me is to keep an enormous, overriding vision of where we can help people go, followed by a strenuous mastery of the details required to make it happen. My friends and co-founders in this endeavor, Orrin Woodward, Tim Marks, Claude Hamilton, Bill Lewis, George Guzzardo, Dan Hawkins, and Rob Hallstrand are all aligned in common purpose to continue to make LIFE Leadership something that truly helps people lead more meaningful lives. Life Leadership will continue to improve! As a result of this tireless labor of love that we are all engaged in, we have several very exciting new things happening in 2014! Among these are international expansion, new product rollouts, a massively increased compensation package, increased One Time Cash Awards, improved data management and “dashboard” designs for field leaders, simplified back office operations, smart phone apps, voice communication systems, and much more! So hang on tight for an even more exciting year than our first two! I truly hope you like all that we deliver this year, and that our materials and events enable you to live the life you’ve always wanted! Remember: It’s not as important to succeed as it is to matter, and you’ll likely accomplish the former by shooting for the latter! In an age in which nearly any product can quickly become commoditized, it is a joy to be involved in marketing informational products to customers. This is because the unique and original nature of informational products do not lend themselves to commoditization. Take, for instance, Robert Kiyosaki’s Cashflow Quadrant concept. It was over fifteen years ago that I was first exposed to this diagram, and it continues to be instructional and useful in my life. There is quite simply no other simple concept I’ve ever seen that can take a complex landscape of possible career/professional occupation choices and reduce them to such a clear and understandable image. This concept is so good that others can merely copy it. It cannot, however, be reduced, made cheaper, or hocked in a second-hand way. In other words, it cannot be commoditized. Informational products are like that. They carry the DNA of originality and are once and forever stand alone units. This is what I love so much about the products produced by the LIFE business. LIFE Leadership’s informational products are as unique and creative as each of our contributing content creators. Each of these tireless men and women bring their own special perspective to information that is designed to help improve people’s lives. I am blessed to receive a near-constant stream of emails and cards and letters recounting how the Life Business‘s information has improved peoples’ lives. 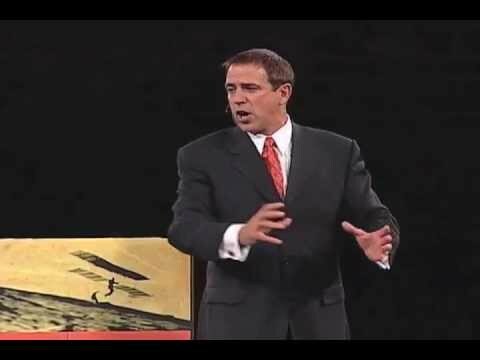 Since the LIFE Leadership company produces information in each of the “8 F’s”, the categories through which we live our lives (Faith, Family, Finances, Fitness, Freedom, Following, Friendship, and Fun), these life improvements take place across a wide spectrum. I have been told that listening and reading through the informational products LIFE produces has improved marriages, helped people get out of debt, formed better attitudes, and repaired damaged self-images. Many of these changes I’ve witnessed first-hand in peoples’ lives. This is extremely heart-warming and encouraging, and certainly makes me feel privileged to be a part of the product creation at LIFE. LIFE Business Products Available for FREE! Finally, with products that can’t be commoditized, that really work in helping people improve their lives, the LIFE Business’s products are also available for FREE! This is done through something called the “Three for FREE” program. This is available to any and every customer of LIFE products. Simply refer three other customers who subscribe to LIFE informational products at an equal level to those to which you subscribe, and yours are free! It’s a way for the LIFE business to thank you for your referrals! Sample some of LIFE’s informational products and see for yourself if there aren’t positive changes in store for you! May I recommend our newest product, the Financial Fitness Pack? It focuses on the Offense, Defense, and Playing Field of personal finance. Rarely have these three categories been taught together in this fashion. I hope you enjoy the material and that it brings an improvement in your finances! If it were a human, it would still be wearing diapers and maybe not even walking yet. If it were a dog, it might still be chewing the furniture. But LIFE is a business and wasn’t forced to go through the awkward infant phases of existence. Instead, it’s first year is shaping up to be a very adult, mature one. 1. The LIFE business launched on November 1, 2011 on an interesting premise: produce world-class information products that change peoples’ lives, and make those products available to anyone as a significant home-based business venture. 3. Also instituted right at the launch of the LIFE business was the 3 for Free customer program, allowing not only LIFE members, but also LIFE’s customers themselves to receive their product subscriptions for free once they acquired three equal or higher subscribing customers of their own! 4. One Time Cash Awards (OTCA’s) were then rolled out for the start of the 2012 calendar year, giving thousands of additional dollars to performers throughout a wide range of business sizes. 5. Next, in April of 2012, Paid Incentive Trips were announced. Again, the shockingly low business level requirements to earn these trips is another industry first. Destinations include Disney World in Orlando Florida, Arenal Costa Rica, the Oasis of the Seas Bahamas Cruise, Sandals Resort in Negril, Jamaica, Maui Hawaii, Ocho Rios Jamaica, a Celebrity Cruise, and a Princess Cruise to Alaska! 6. Then, the LIFE business rolled out its flagship product, the Mental Fitness Challenge (MFC). Designed with complete life transformation in mind, the MFC encompasses many different media including books, audio, video, self-assessment testing, 360 degree feedback, accountability partners, goal setting, progress tracking, and more. The Mental Fitness Challenge is already receiving rave reviews! 7. Next came lower prices! The barrier to entry for starting a business out of one’s home was driven even lower by the founders of the LIFE business. One can now begin his or her own home based information marketing business for just $49.99! All of this excitement has caused record growth in the LIFE business and is shaping up to be a first year to remember! As November 1, 2012 approaches, there may be only one little candle on the LIFE business’s birthday cake, but it represents a flame that can light the fires of many dreams as people have the courage to dream. May yours burn brightly! Success, however, is not easy. Anyone who says anything to the contrary has either not succeeded themselves, is delusional, or not to be trusted (or, perhaps, is just plain stupid)! Nothing good comes without a fight. I sometimes don’t like this truth, but it is true, nonetheless. The LIFE business is no different. As much as we’ve tried to make it easy by providing a pattern (the Five Step Pattern), a program (the Power Player Program), world class products (Maximize Your Finances, Mental Fitness Challenge, Freedom Packs, etc. ), and perks (paid trips for lower level members, One Time Cash Awards, recognition, and a compensation plan that returns almost 70% of gross revenue point value those in the field), it is still subject to the laws of success. These laws dictate that the right things must be done with the right attitude for the right amount of time. To help people learn these truths in a productive way, we provide perhaps the most important aspect of our business: the Life Training System. This is necessary because the laws of success MUST be learned and respected in order for success to be achieved. Years ago, when I was just starting out in this profession, I struggled with the laws of success. Eventually, I learned them so well I was able to make a living in a situation that was far from optimum. During that journey, I always dreamed of participating in a business exactly like the LIFE business we have today. It has products I can be proud of, prices below the rest of the market, a pay plan second to none, a 30-day money-back guarantee, paid trips for newer participants in the business, world class training, an excellent website environment and back-end office for tracking my business, and some of the greatest people I’ve ever been privileged to meet. In fact, things are so good I think people lose perspective on just how good they have it. In a world wracked with economic troubles, LIFE offers a way for the individual to swim against those currents and prosper financially. In an age where people are more electronically connected than ever, but at the same time more disconnected from others, LIFE provides a format for meaningful partnerships and connection. In an atmosphere of uncertainty, LIFE offers a program that is solid, exciting, and achievable. Is LIFE perfect? Absolutely not. But I do believe it’s the best there is, and we are working nonstop to continue to make it even better. Our dream is that when the next person like us comes along – someone who is ambitious, looking for something more in life, teachable, and honest – that person will find a ready-made situation that only requires him or her to apply the laws of success to it in order to live the LIFE they’ve always wanted! Is it working? Yes! In so many ways! But don’t take it from me. Click on this link to read and watch testimonials of people from all walks of LIFE who are experiencing success. And yes, I did get a haircut since that video! Yesterday the founders of LIFE – Orrin Woodward, Tim Marks, Bill Lewis, Claude Hamilton, George Guzzardo, Dan Hawkins, and Rob Hallstrand, and myself, were extremely excited to see the successful launch of the company. At exactly 11:11am, as planned, the website went live and the company opened for business. 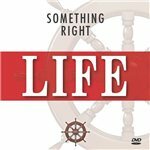 LIFE specializes in producing life-changing products that can be sold by individual LIFE members for a profit. In this way, people can make a positive impact in their own lives and in the lives of others through the “8F” categories of: Faith, Family, Finances, Fitness, Following, Freedom, Friendship, and Fun. All went smoothly as thousands of new members signed up, all, that is, except the inaugural internet broadcast, streaming of a live event being hosted in Lansing, Michigan. Yours truly was on stage, flapping my gums like I knew what I was doing, only to be interrupted twenty minutes later with the unwelcome news that somehow a glitch had been encountered somewhere in cyberspace and nobody across North America was receiving the signal. The 2500 people assembled in Lansing and I would have to make do until further notice. In a scenario that played itself out across hundreds of living rooms across this land, there we were, nice little cozy crews of folks all dressed up with nothing to do. So we related some concepts, taught a little detail, shared a few laughs, and finally got word that we were “live” and ready to go! No harm done, we all proceeded according to plan and the rest of the evening went off without a hitch. With an entirely new product line, brand new subscription models, a cutting-edge pay plan, new website, new marketing materials and sales aids, new instructional brochures, new video advertisement clips, and new training tools, there were certainly many, many potential places for something, anything, to go wrong! Compared to all that could have happened, a little Internet hiccup was nothing! We certainly appreciate the patience of everyone involved, and the professionalism and dedication of the LIFE staff who scurried around behind the scenes to minimize (as much as possible) the “looking like idiots” factor affecting the guy with the microphone (me!). I am truly honored to be in business with such a cadre of professionals who insists on excellence, work well under pressure, and never stop in their pursuit to bring world class products and information to a world that needs it. Congratulations to all LIFE members and employees, and everyone involved to make this launch everything we dreamed it could be. The chance we’ve all been waiting for is here – the LIFE you’ve always wanted!! !